It took Sony a few years to agree to a sequel to David Fincher's The Girl with the Dragon Tattoo, and when they did it was to basically move on beyond anything he did. Not only is Fincher gone, but so too are his stars, Rooney Mara and Daniel Craig. In their place is Evil Dead's Fede Alvarez, Borg/McEnroe star Sverrir Gudnason, and Claire Foy in the iconic role of Lisbeth Salander, the vengeful protector of women. 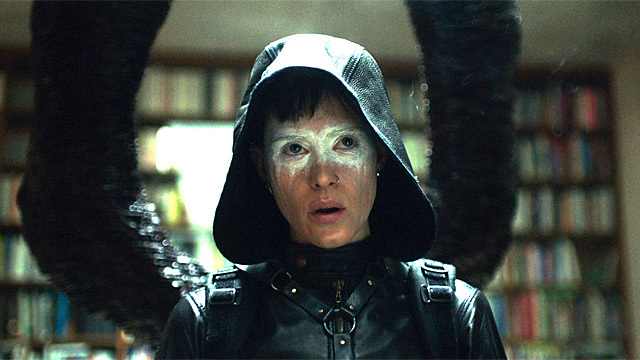 All involved are looking to put their stamp on the franchise with The Girl in the Spider's Web, and the new trailer suggests a film that will be just as violent and disturbing as the original. The barely-recognizable Foy takes on the role of Salander, the computer hacker turned vigilante who targets men who hurt females. The story is based on the fourth book in the Millennium series, penned by David Lagercrantz after author Stieg Larsson's death. So in a way choosing this particular book to adapt is a good way to get separation from the original adaptations, including the popular Swedish versions. Also starring Lakeith Stanfield, Sylvia Hoeks, Claes Bang, Vicky Krieps, Stephen Merchant, and Saskia Rosendahl, The Girl in the Spider's Web opens November 9th.